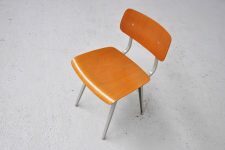 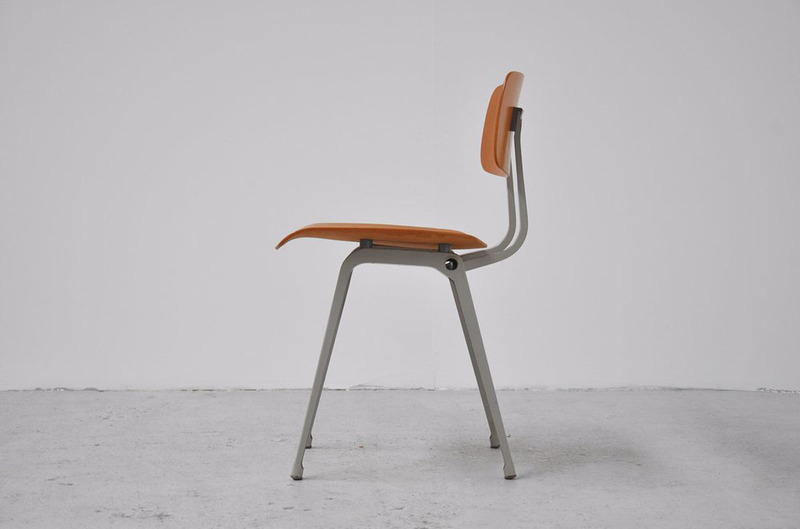 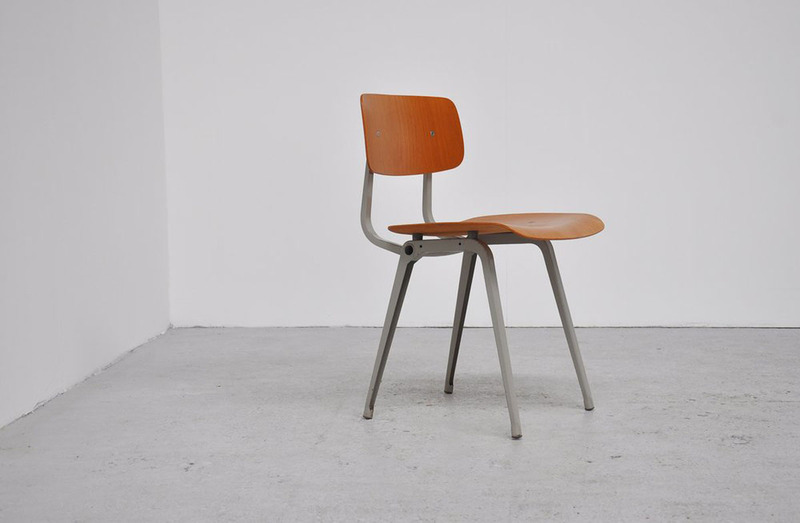 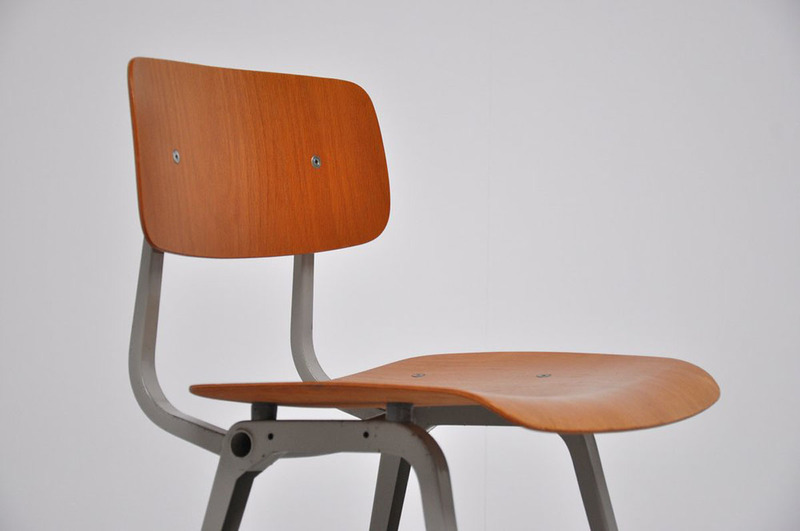 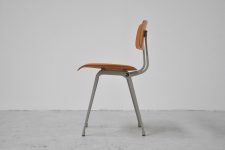 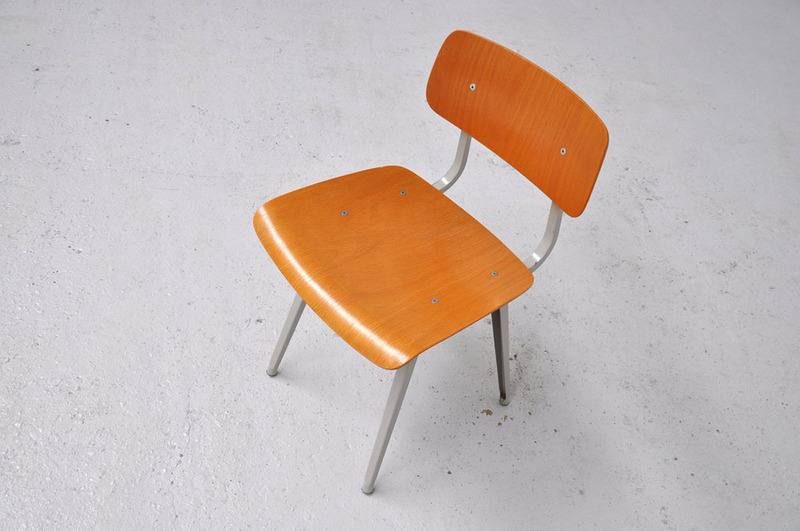 Rare wooden Revolt chair designed by Friso Kramer for Ahrend de Cirkel in 1958. 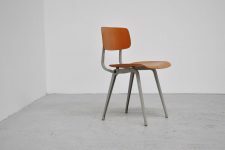 This chair is normally made in fiber but this one is in wood, these are not so common. 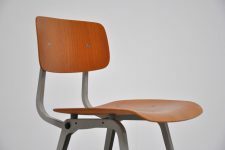 This chair has beech wooden seat and back with grey metal frame and is in very good condition.